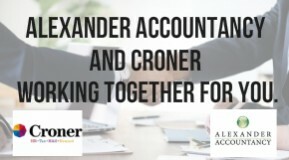 We are pleased to announce that we are working in partnership with Croner, offering advice and support on Employment Law, HR and Health and Safety management services to all our clients. Croner have over 75 years supporting UK businesses. The HR, employment law and health & safety services are available to you including admin, removing your legal risk and giving you more time to grow your business. Using industry leading documentation and software that cuts the time you spend on workforce management. Providing you with 24/7 expert advice on any workforce challenge. And by giving you access to a team of legal experts ready to fight your case if you face an employee dispute, grievance or tribunal. We would like to mention our first joint event on June 6th at the Pirelli Stadium at 5.30pm-8pm, where we will host a mini-workshop on employment law, contacts, policies and recent changes to the law. More details to follow.